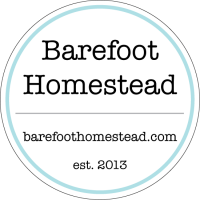 I am Shantel from Barefoot Homestead. We are very excited to have the market. We will be working w/Leffler Farms & Growers Organic from down the hill for organic produce. Ela Farms will be providing us with organic fruit later in the season when harvest for apples, pears, & peaches rolls around. I will be there with eggs, goat milk herd shares, beef from Fiona’s Funny Farm, AND my own handmade all-natural skin care products. Michelle from Pine Mountain Homestead will have plant starts, goat cheese, goat milk shares, goat milk products, eggs, produce, & more. We will also be hosting kiddos from the area with things they've made, fundraisers they sell, & goods from farms they work for. Michelle and I firmly believe it is important for youth to be involved in the community, have an outlet, & just plain be a part of things.